Ahead of a planned visit of Ms Rebiya Kadeer, President of the World Uyghur Congress (WUC), in March in Taiwan, the pro-independence opposition party, Taiwan Solidarity Union (TSU), is calling on President Tsai Ing-wen’s Government to allow the Uyghur spiritual leader to visit the country. Rebiya reiterated that East Turkestan, Taiwan, Tibet and Southern Mongolia should use this historic opportunity to join in their struggle for freedom and democracy. This move is, further, deemed by TSU Chairman Liu I-te an apt chance to counter Chinese oppression. 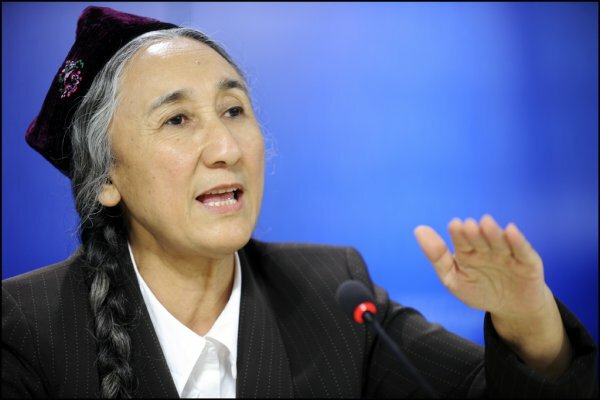 Uighur activist Rebiya Kadeer has accepted the invitation to visit Taiwan in March , a pro-Taiwan independence opposition party said on Tuesday, urging the government to approve her visa application. The move is tipped to put the Democratic Progressive Party government in a dilemma as an approval of the visit is certain to anger the Chinese government while a rejection would trigger criticism from the pro-independence camp in Taiwan. The Taiwan Solidarity Union (TSU, 台聯), who extended the invitation to the president of the World Uighur Congress (WUC) in December , said the party received an official confirmation earlier this month that the international human rights activist "is happy to visit Taiwan." The activist is seen by the Chinese government as a Uighur separatist who has colluded with terrorists and endangered state security. TSU chairman Liu I-te (劉一德) said the party would apply for a Taiwan visa on behalf of Rebiya soon, hoping the DPP government could grant the application to facilitate her visit in later March. "Inviting those who are not welcomed by China to Taiwan is an important diplomatic strategy to counter Chinese oppression," he added. During a press conference to announce the possible visit of Rebiya, Liu also showed a pre-recorded video clip with the activist's message to Taiwan. The exiled Uighur leader congratulated President Tsai Ing-wen of her presidency last May and expressed gratitude for the TSU's invitation to Taiwan in the video clip. She also stressed that Taiwan, Tibet, Southern Mongolia, East Turkestan all shared a similar destiny against Chinese oppression and thus should work closely for the same goal of freedom and democracy. Rebiya has been denied entry to the R.O.C. in 2009 during previous Kuomintang (KMT) administration under ex-president Ma Ying-jeou on the ground of "national security reason." Jiang Yi-hua, then minister of the interior, said Rebiya's organization maintained close relations with the East Turkistan Islamic Movement, which has been declared a terrorist group by the United States and the United Nations. Then KMT government's rejection of the activist' visa application was heavily criticized by then-opposition DPP, who accused the KMT of doing so to please mainland China. Asked to comment on Rebiya's possible Taiwan trip, President Office spokesman Alex Huang said government would handle such an application in accordance with related rules once it has received the application. The Mainland Affairs Council, meanwhile, said related government units would process the application with caution based on national interest.